Sarang Bang Guest House is on the center road of Patong Beach within walking distance of Jungceylon, the biggest shopping center in Patong. We are also a short walk to the beach and Soi Bangla, the center of night life and entertainment. Our modern building was constructed in 2006 and we speak English, Korean and Thai. Since we have only 6 luxuriously furnished rooms we can offer the personal attention of a friendly & personal family-style guesthouse. We are situated off the main road making a very quiet location for good sleeping, yet we are close to the beach, shopping and entertainment for easy access. Note: These facilities do NOT all apply for the Bunk Bed room. We are about 40 km from Phuket international Airport and we can arrange your airport transfer service. 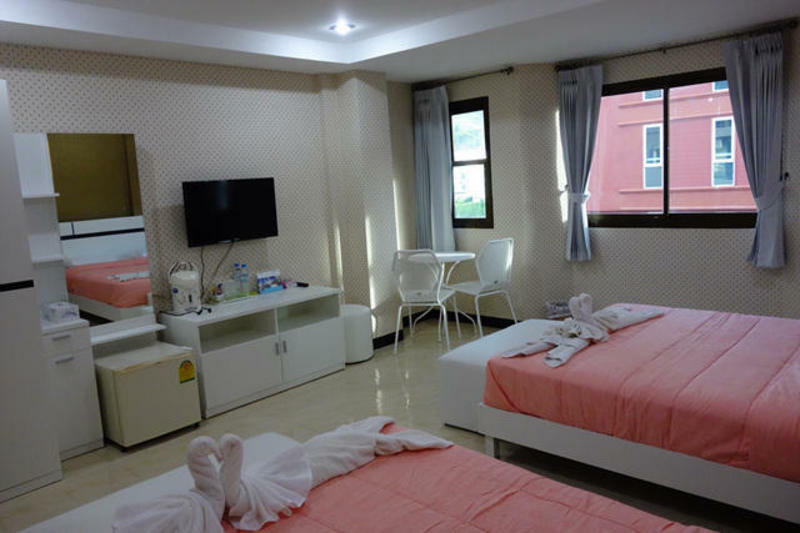 Sarangbang Guest house is situated on the center of patong beach. 100 meter from beautiful beach. Local bus station to phuket town. 200 meter from jyncelon biggest shopping center ,banla road night life enterainment complex. 10 kilometer from kata beach,30 kilometer from phuket town,45 kilometer from phuket international airport.15 kilometer from phuket fantasia enterainment zone.